Dragon Ball Super Chapter 46 English – Goku & Vegeta In Serious Trouble! Dragon Super Chapter 46 has been finally released and things are not looking good for our boys – Goku and Vegeta. Dragon Ball Super Chapter 46 English was released just an hour back and it seems like all the spoilers were 100% accurate. The high-quality scans of Dragon Ball Super that were leaked were also accurate. Well, as the official Dragon Ball Super Chapter 46 is released, let’s check it out! You can read the entire manga chapter by going to the official Mangaplus website. Another option to read the manga is by downloading their official app from the App Store or Google Play. Well, if you’re not in the mood of reading the whole chapter, you can just read the summary I did on the Dragon Ball Super Chapter 46 down below. It covers up pretty much everything so you won’t miss anything. Moro is one savage villain. 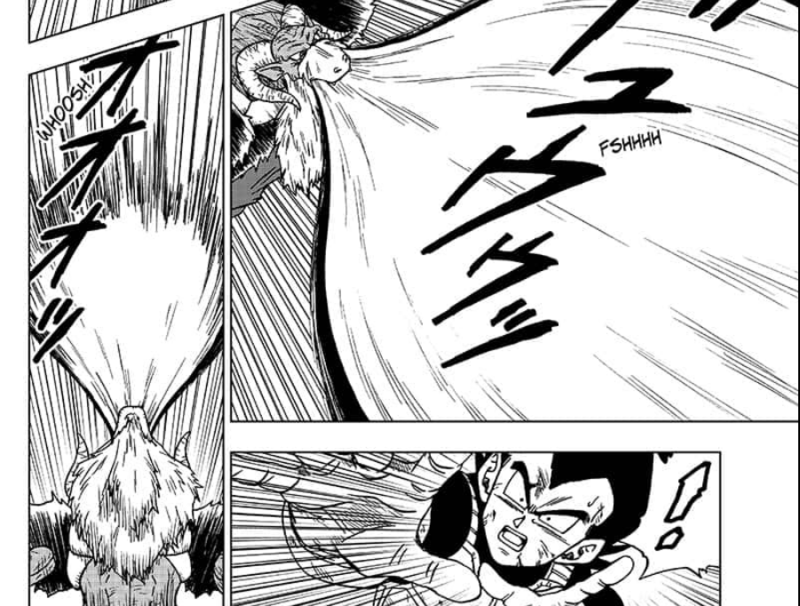 The Dragon Ball Super Chapter 46 English begins with Moro attacking Vegeta. Goku tries to stop him but Moro easily overpowers him. 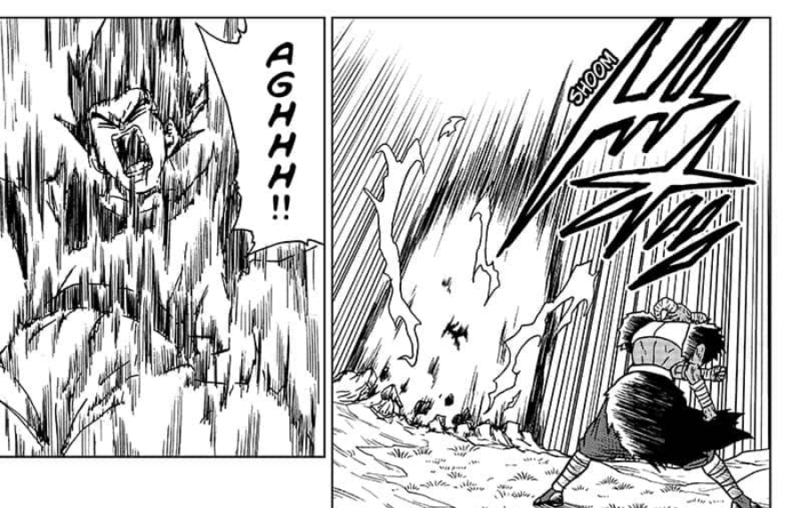 He slams Goku right on the ground and rocks multiple times before using his ‘nature’ attack he used on Vegeta. Goku’s ki is all drained up and Moro is just getting stronger. Then we see that Vegeta is charging up his Galick Gun attack but Moro is just smiling seeing all that huge ki at one place. In the Dragon Ball Super Chapter 46, it’s indirectly revealed that head on ki attacks won’t ever work on Moro. Moro just ate the whole Galick Gun in one sitting. I mean, it looks like he was eating some kind of cotton candy. With that last Galick Gun, Moro grew even stronger. So ki blasts are a huge NO against Moro unless until you can eradicate him in one attack. While this is happening, we see Whis and Beerus talking on their planet. 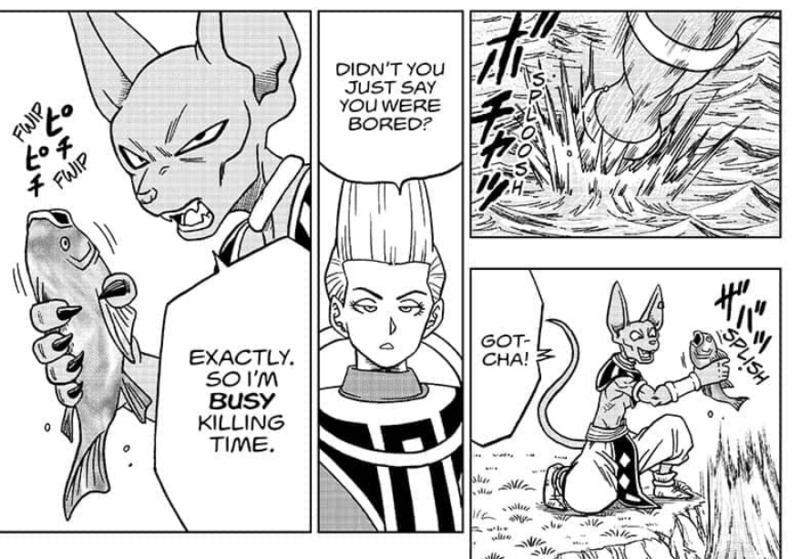 Beerus is bored and trying to fish. It’s really ironic. Whis is looking at his staff for a long time which made Beerus curious. Whis tells that Planet Namek is exhibiting a large decline in energy levels. Beerus is like, “Is the planet about to die? How exciting!” Beerus is happy that he doesn’t have to do anything because every once in a while, some planet buster comes along and completes his job for him. Apparently, Beerus is really busy. Dragon Ball FighterZ Wins Best Fighting Game At The Game Awards 2018! Dragon Ball Super Reveals The Real Reason Why Broly Is So Powerful! The Real Reason Why King Vegeta Exiled Broly Revealed! Next story Dragon Ball Super Chapter 47 Release Date & Spoilers – Majin Buu Returns! 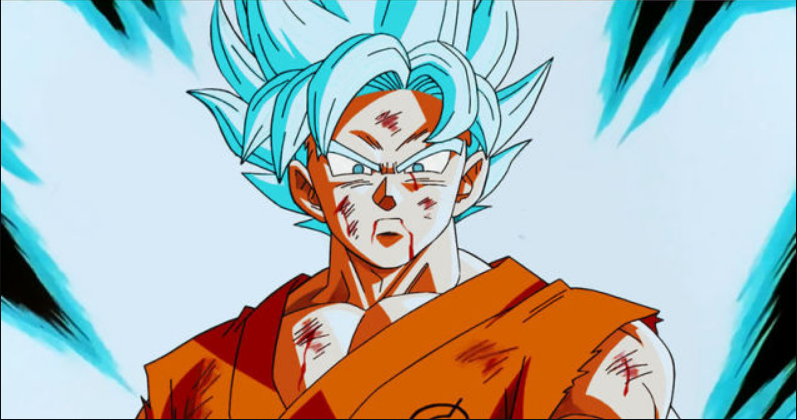 Previous story Dragon Ball Super Chapter 46 Release Date & Spoilers – Goku vs Moro!